> great! 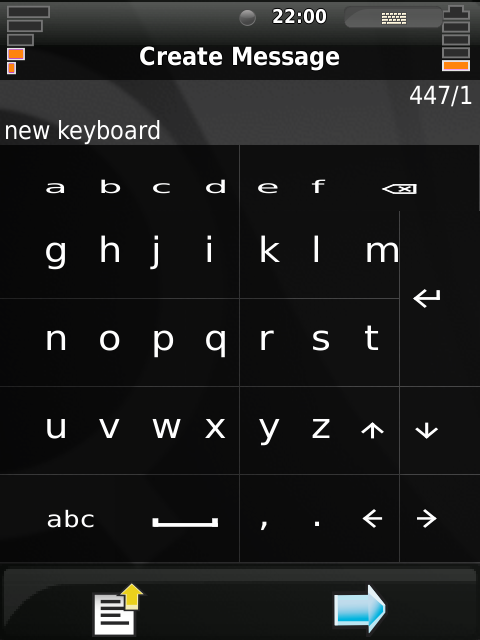 These keyboards are a real big step forward in usability of Qtmoko! > it was just for testing. So I called the menu in order to delete it again. > Result: System hangs and had to be restarted! > still possible, but after leaving it, system hangs! Had to be restarted. > For more info about QtMoko please visit our homepage . > your favourite unicode character map. 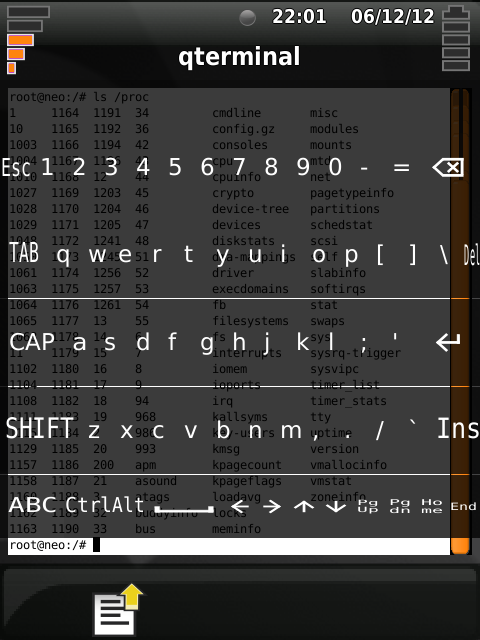 > keyboards variants easily installable from qtmoko apps page. > the new wifi icon in finxi theme (search for setDocument string here ). > number of gps sattelites/fix indicator on title bar. > perfectly. No regressions were spotted. Many thanks for this Neil. > Thanks also everyone for their support and work. thank you so much for the update! I like the keyboard idea! phone, the line says busy.